1986 Broken up Kaohsiung, Taipai. 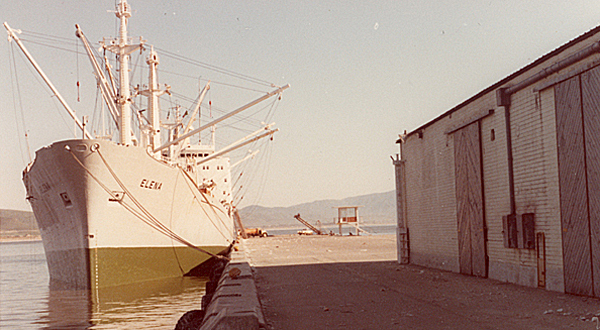 Alongside at Ensenada, 1978. Copyright © Mike Jones. Officer list on first voyage for TMM. Master: A. D. Lightfoot, C/O: D. J. Mockett, 2/O: R. S. MacKay, 3/0: E. Bingley, R/O: B.Stagg, C/E: J. G. Howell, 2/E: R. M. Paddock, 3/E: D. Quaye, 4/E: R. Sanders, J4/E: A. Frost, Elect: T. Willoughby, C/S: R. G. Moylon, Eng Cadet: C. Rees.